What are the main stereotypes of nurses in the media? Q: What are the main stereotypes of nurses in the media? While there are many stereotypes of nurses, we have the main ones summarized below. The links below take you to a series of pieces we wrote for Nursing Times in 2010-11. 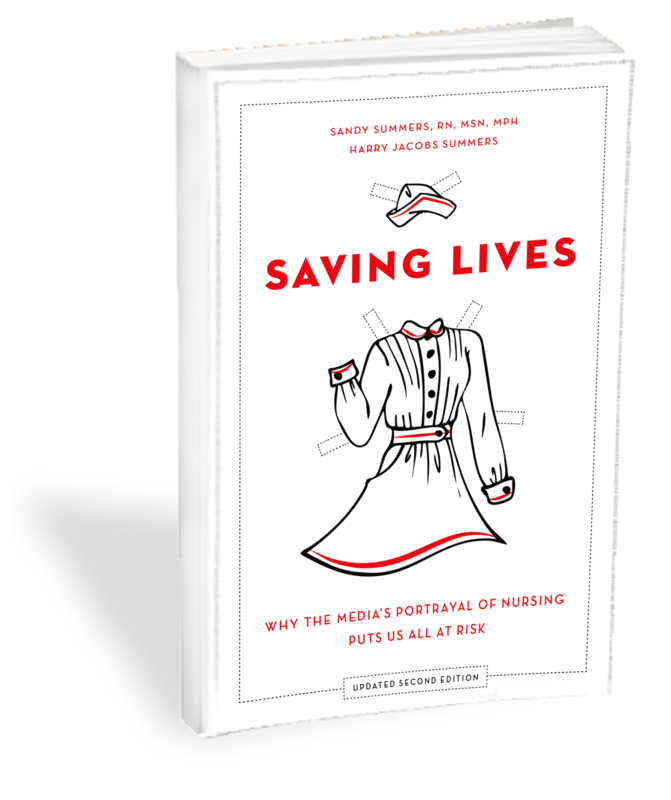 They are short summaries of the stereotypes that we also cover more extensively in the chapters listed below from our book Saving Lives: Why the Media's Portrayal of Nursing Puts Us All at Risk. See some examples of these stereotypes below. Akeelah and the Bee -- Akeelah's mom -- The Glades -- "Hell of a Doctor"
Private Practice -- "A midwife in a world of doctors"
Disney's Lab Rats -- "Nurse Practitioner Evil"
Desperate Housewives -- "Seriously? Male nurse." See our FAQ "You could be a doctor!" Today Show -- "The Perils of Midwifery"
This list is just a sketch. We have many more examples on our 2,000+ page website. Please search for relevant terms with our search engine to find more.